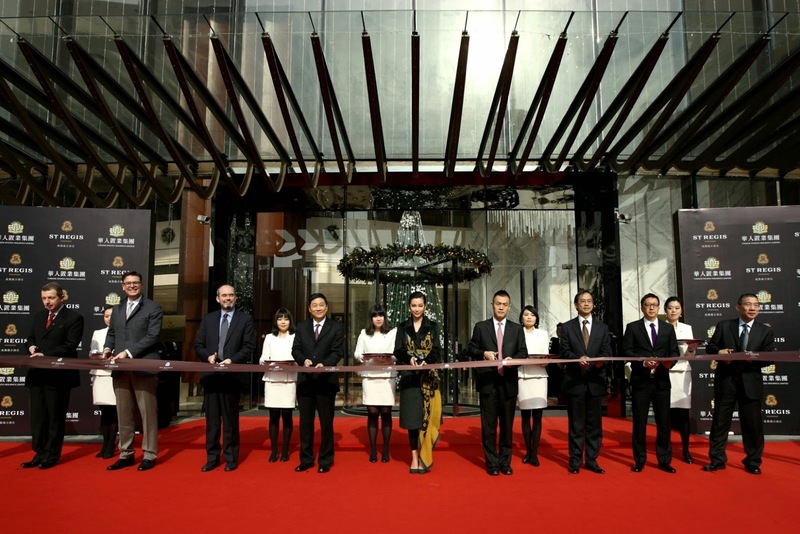 (Chengdu, China – December 22, 2014) – The St. Regis Chengdu, Southwest China’s newest address for unparalleled luxury, celebrated its debut with a magnificent opening ceremony and gala event, as well as the unveiling of the St. Regis Chengdu mural. The elegant evening welcomed a bevy of international and local celebrities, influencers and tastemakers including international movie star Li Bingbing, President of Sichuan culinary association Li Shuren, Chairman and Chief Executive Officer of Chinese Estates Holdings Limited Mr. Lau Ming Wai and Paul James, Global Brand Leader of St. Regis, The Luxury Collection, and W Hotels Worldwide. “With six St Regis hotels and resorts now in operation in Greater China and eight more in the pipeline, we will more than double our brand portfolio in the region in the coming years. 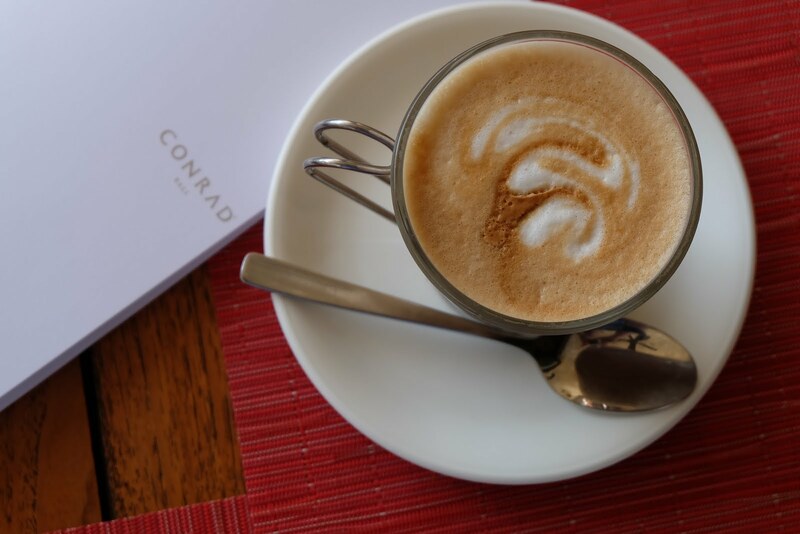 We are confident that Starwood’s ultra-luxury brand St. Regis is perfectly positioned to meet the strong demand for luxury travel in Greater China for both domestic and inbound travel,” commented Qian Jin, President of Starwood Hotels & Resorts, Greater China. General Manager of the The St. Regis Chengdu Mr. Richard Deutl; Global Brand Leader for St. Regis, The Luxury Collection and W Hotels Worldwide Mr. Paul James; The Consul General of the Consulate of the United States of America in Chengdu Mr. Raymond Greene; President of Greater China of Starwood Hotel & Resorts Mr. Qian Jin; International Movie Star Ms. Li Bing Bing; Chairman and Chief Executive Officer of Chinese Estates Holdings Limited Mr. Lau Ming Wai; Director of Government of Hong Kong Special Administrative Region Hong Kong Economic and Trade Office in Chengdu Mr. Danny Lau; General Manager of Operations at Chinese Estates Holdings Limited Mr. Matthew Cheong; Head of China Business at Chinese Estates Holdings Limited Mr. Alec Kong at the Grand Opening of the 6th St. Regis Hotel in China – The St. Regis Chengdu. The evening began in Decanter, St. Regis Chengdu’s gourmet wine bar, with the unveiling of the St. Regis Chengdu mural by artist Chris Buissa’s. 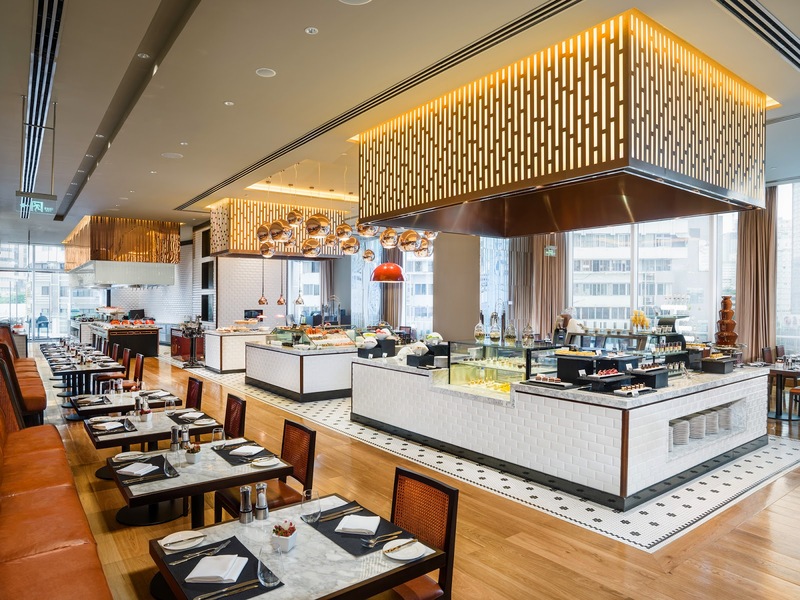 The mural, which reflects the Brazilian artist’s interpretation of ancient and modern Chengdu, takes center stage in Decanter’s refined setting. The seductive space invites guests to sample a wide selection of the world’s best champagnes, and red and white wines, carefully curated by St. Regis Chengdu’s master wine sommelier Tong Zhu. Opening exactly 110 years after the iconic St. Regis New York and situated in the first City of Gastronomy in Asia recognized by UNESCO, The St. Regis Chengdu took guests on a progressive culinary journey of New York and Sichuan cuisine from 1904 to present during an exclusive gala dinner that beautifully blended classic and contemporary cuisine. To represent the jazz legacy of storied luxury brand, the entertainment included a jazz band performing songs from iconic jazz artists from the 1920’s to modern day, as well as Charleston Dancers, who dazzled the crowd with a choreography mixing traditional Charleston and contemporary dance. To infuse the rich heritage and local culture of Chengdu, a fashion show unveiled modern Shu Brocade designs by Ms. Xue Mei Pan. Guests were invited to experience a rare and captivating morning with China’s most precious and beloved animal, the panda. Designed to save the giant panda, this world-renowned research institution offers guests the opportunity to see and interact with these rare creatures. Guests experienced Chengdu in true style with a Shu Brocade aficionado experience featuring an exclusive private tour of Chengdu’s Brocade and Embroidery Museum. Coined "the land of abundance," Chengdu has a rich history of more than 2,000 years of hand-woven brocade craft. Guests enjoyed a private tour and tasting at ShuiJing Fang Museum, China’s first Baijiu distillery. A 600-year-old tradition, Shui Jing Distillery's distilling techniques have ensured its prestige through the Yuan, Ming and Qing dynasties where generations of master distillers continued to enhance and refine Master Wang's original recipe to create a lineage of exquisite and luxurious Baijiu, the traditional Chinese distilled alcoholic beverage. 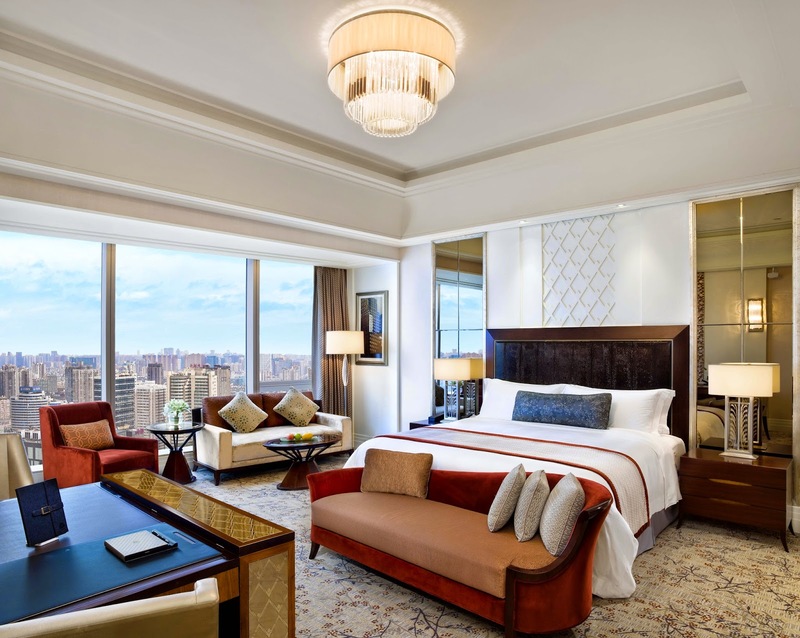 The abovementioned experiences are also available to guests of The St. Regis Chengdu as part of the signature St. Regis Aficionado and Family Tradition packages. 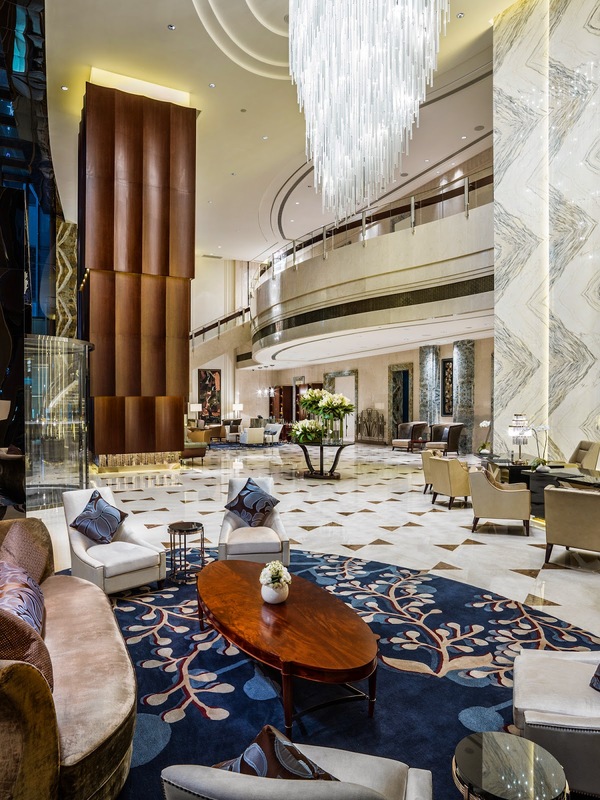 Located in the heart of Chengdu’s business district just steps away from Tianfu Square and the Chun Xi Road upscale retail area, The St. Regis Chengdu sets a new standard of bespoke service, refined elegance, and timeless sophistication in Southwest China. The St. Regis Chengdu boasts 279 carefully appointed guestrooms and suites that are the largest in the city, 1,200 sqm of exceptional event and meeting spaces, the exclusive Iridium Spa featuring a menu of customized experiences, and the legendary St. Regis Butler Service. The St. Regis Chengdu offers an array of epicurean experiences including six restaurants and bars. Social, an all-day dining restaurant, offers a wide selection of international cuisine; Yan Ting is the hotel’s signature Chinese restaurant specializing in Cantonese and Sichuan cuisine; Yun Fu has four distinct private dining rooms located on the 27th floor offers tailored dining experiences. 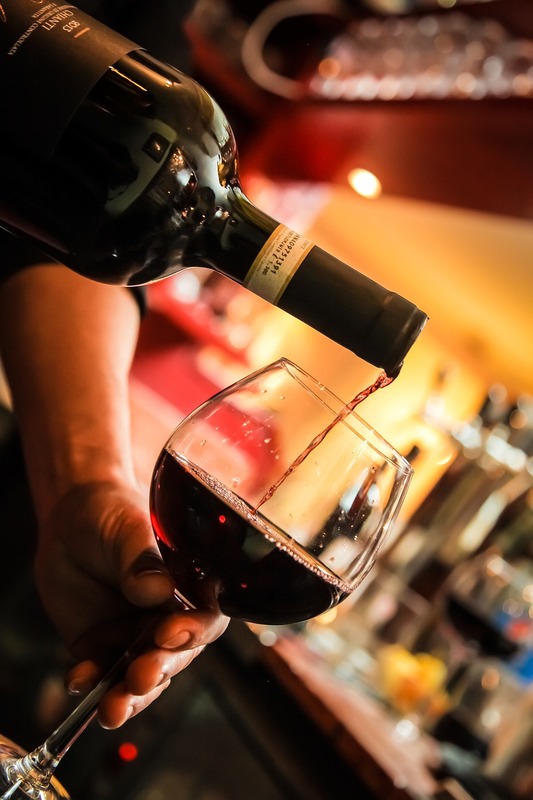 Decanter, Chengdu’s only dedicated wine bar, offers an extensive selection of fine wines, liquors and cigars; Vantage XXVII is a rooftop bar offering specialty cocktails with views of the spectacular city skyline. Drawing Room offers the signature St. Regis afternoon tea and champagne sabering ritual as well as the Chuan Mary, a spicier version of the world famous St. Regis Bloody Mary, re-imagined for The St. Regis Chengdu. The Iridium Spa, exclusive to St. Regis Hotels & Resorts, offers a blissful experience including nine treatment rooms, sauna and steam rooms, and a modern fitness center. The tranquil spa offers a customized indulgence that surpasses the discerning tastes of St. Regis guests. The St. Regis Chengdu is the only luxury hotel in the city to offer both indoor and outdoor swimming pools for in-house guests and St. Regis Athletic Club members. For more information, please visit www.stregis.com/chengdu.